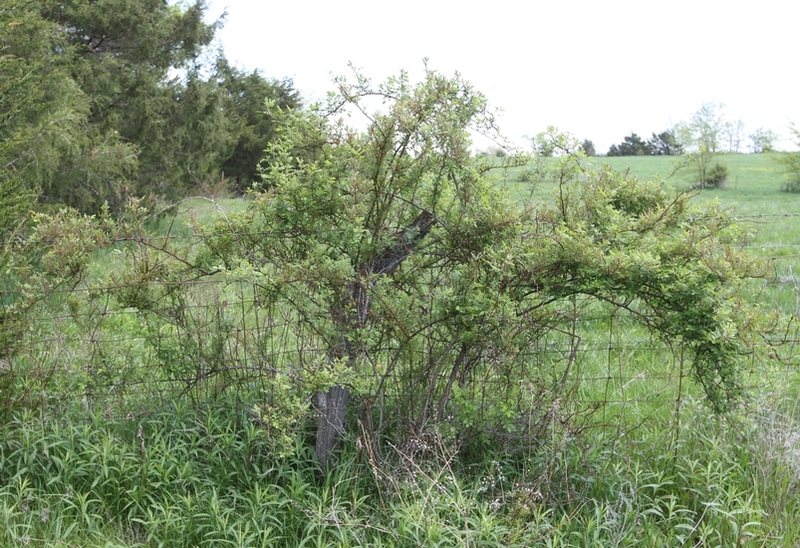 An invasive bush that can form large thickets, especially along fencerows or in pastures and hay fields. 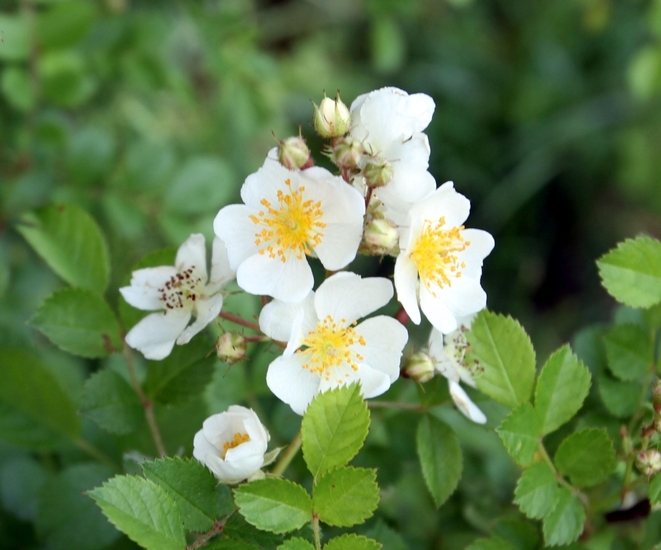 Multiflora rose was introduced from eastern Asia in the 1800s as an ornamental shrub, and was later promoted for planting as a wildlife food and living fence for cattle in the United States. 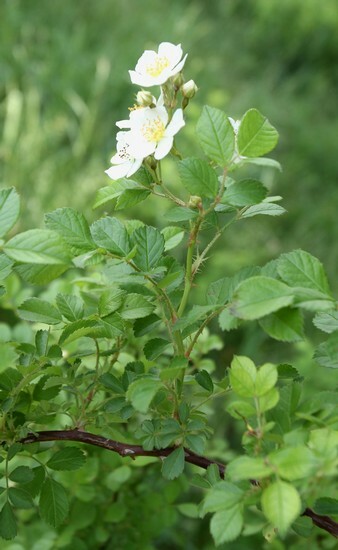 Today, multiflora rose occurs throughout the United States and is especially troublesome in pastures, hay fields, and fencerows in the western half of Virginia. Petioled, arranged alternately along the stem, divided into 7 to 9 leaflets. 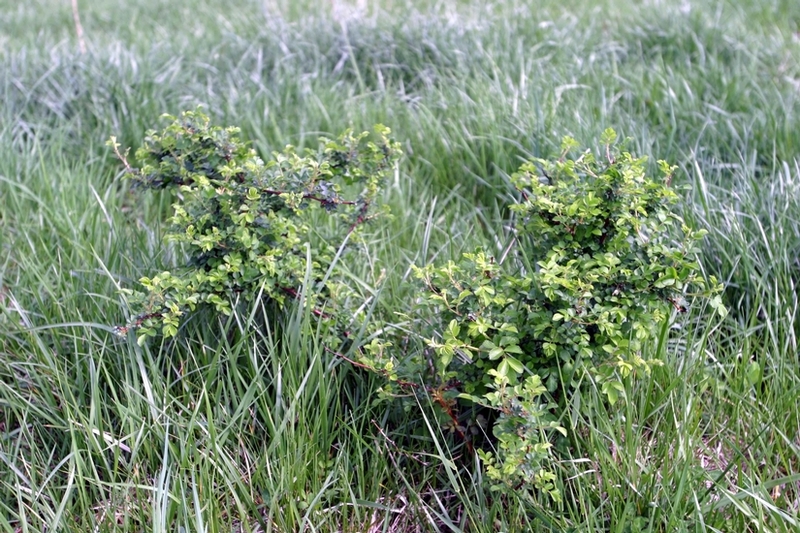 Individual leaflets are without hairs (glabrous) above, usually hairy below. Leaflets are elliptic in outline, from 1/2 to 2 1/2 inches long and 1/4 to 1 1/4 inches wide. 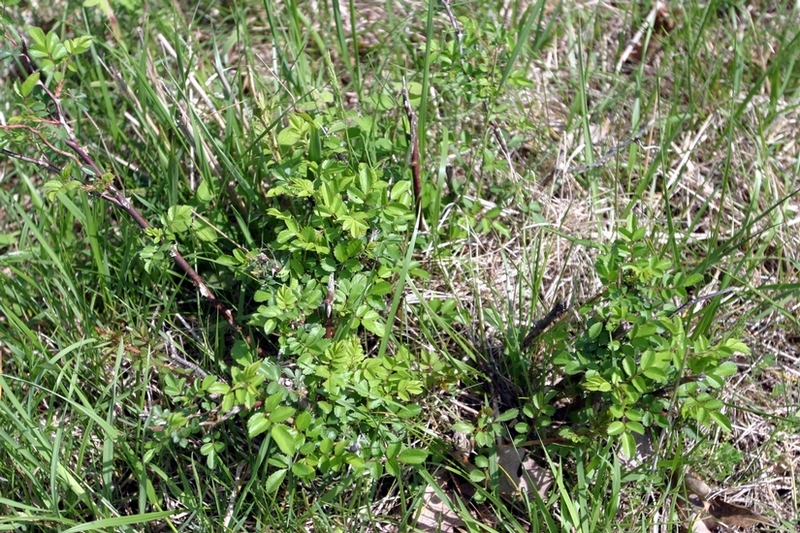 Leaflet margins are coarsely toothed or serrated. A distinctive fringe of stipules occurs at the base of the leaf petiole, which resemble many stiff hairs fused together. 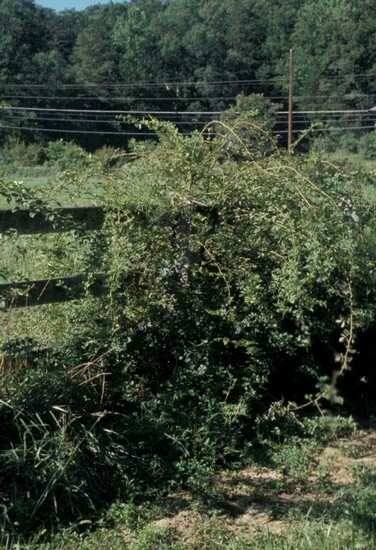 Erect, without hairs (glabrous), usually arching over other vegetation or objects. 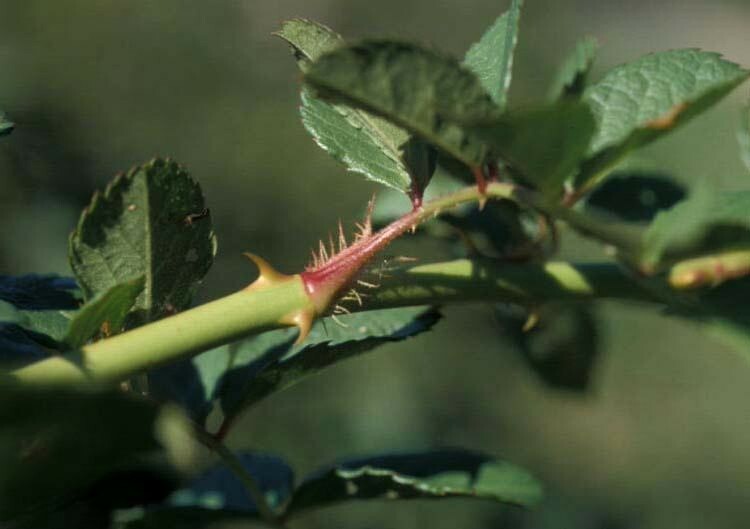 Stems may range from 3 to 10 feet in height and have many curved thorns throughout. White in color, approximately 1 inch in diameter, usually with 5 petals. 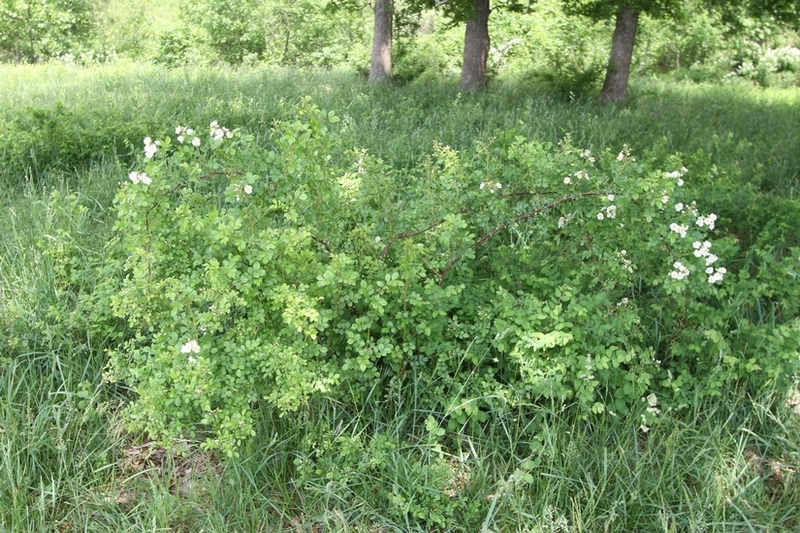 Multiflora rose typically blooms in June in Virginia. An achene that is red and densely covered with hairs. A fibrous root system and stems that are capable of producing roots and new plants when they come into contact with the ground. The fringe of stipules at the leaf petiole bases and the erect, shrubby nature of this plant help to distinguish it from most other species. 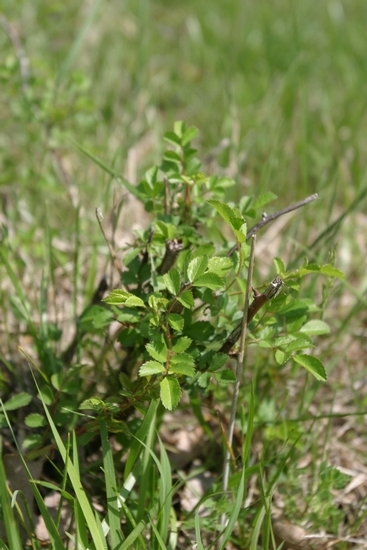 While multiflora rose is similar to many other Rosa species, it can easily be distinguished by the distinctive stipules that occur at the base of the leaf petiole.